There are thousands of natural alternatives to Viagra, but Prelox seems to be the only one supported by independent clinical trials. It is available, without prescription, from companies such as Boots. 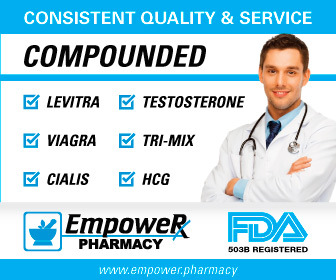 The literature states that the ingredients, L-arginine and Pycnogenal (made from bark of the French Marine Pine) acting in combination, increase Nitric Oxide levels and hence cGMP, - which is, in a way, what Viagra does. L-arginine is a precursor to Nitric Oxide - which forms the cGMP, and the French Marine Pine bark is related to the West African Yohimbe pine tree, the bark of which known for its pro-sexual effect. The two ingredients are said to combine to produce greater effect together than each on its own could produce. A Bulgarian clinical trial reported normal erections returned to 92% of impotent men after two months of twice daily doses. The claim is vague, as even men considered impotent experience normal erections , - usually alone at 6 am. But the report states that average speed of erection decreased from 10 minutes for men taking just L-arginine for a month, to two minutes after the two months on Prelox. And duration of erection increased from two minutes to fifteen. Only 70% of the New York men estimated an improved IIEF-EF score. So, oddly, 11% of men had an increased ability but not an increased score. Disappointingly the average increase in IIEF-EF score was only 10%. Perhaps 1.5 points? This improvement is about half the increase of the men undergoing Professor Vardi s sham Shockwave therapy. Most unimpressive fact was that just ten of the 37 men s partners noticed an improvement. So perhaps Prelox little no better than a placebo. Oddly, of the men themselves, 27 of the 37 thought it was easier to initiate an erection, and 26 thought it easier to sustain an erection. Why did the partners not notice? The New York study also reported that Viagra gave a dramatically enhanced effect when both products are taken in combination . But Viagra on its own can give a dramatically enhanced effect . I started Prelox on 2nd November 2012. The instruction leaflet states you should experience maximum sexual wellness after approximately four weeks . In the first few weeks I noticed a strange taste that stayed with me most of the time, a slightly upset stomach and an increased need to visit the lavatory; but this reduced after a month. The reported side effects of flushing or headaches were just detectable, occasionally. In addition there is a slightly dehydrated dry mouth feeling, and I generally awoke with a sweat-soaked pyjama top. Dehydration is also a side effect of yohimbine. After twelve days I started to think there was an improvement in my erections, and then I had doubts for a few days. But by the fourth week there was certainly an improvement in firmness and duration of erections (both self-induced and nocturnal) but little increase in speed of erection. There was also an increase in the pleasure of orgasms. (Prelox is marketed mainly as a pleasure enhancer ). During the second month on Prelox, and a month into the LI-ESWT course, I noticed no further improvements. I continued with four tablets a day for the first month, and then reduced to two a day. However, my three real girlfriend tests showed no improvement. . I restarted Prelox in a casual way on 30th July (average two a day) and stopped four weeks later in order to better judge the effect off the additional shockwave course.